Welcome to Luke Horn Electric. This company was bought by Luke Horn in 1969 after working for his employer for 7 years. In 1981 it moved to its current location in the Sherman/Denison TX area. The business specializes in control work, both commercial and industrial. Luke Horn Electric is considered to be one of the best at designing and implementing aggregate plants. Some major projects include Midway Mall, several aggregate plants for Lattimore Ind, and all hospitals in the area. 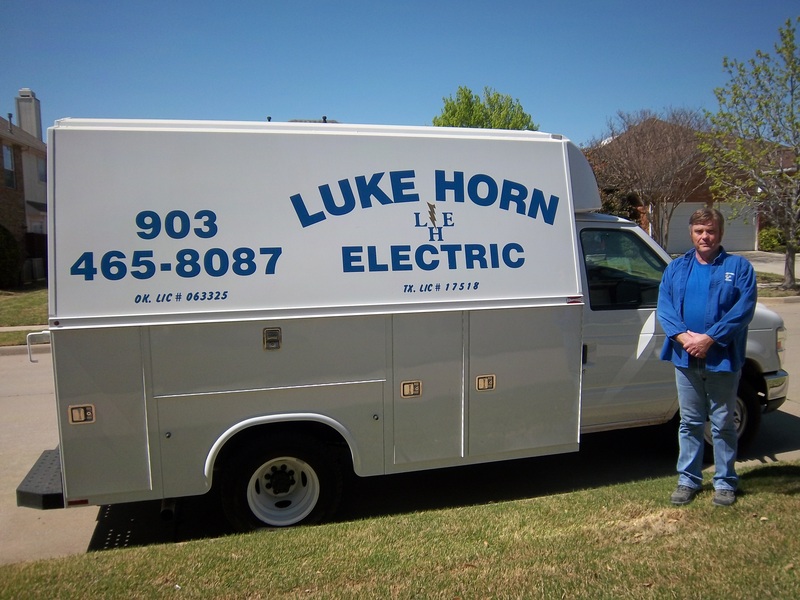 Luke Horn Electric utilizes Master Electricians with 20 years or more of experience and Journeyman Electricians with more than 4 years of experience. This couple with a very congenial office staff makes working with Luke Horn Electric a very enjoyable experience! "We may not always be the lowest bidder/provider, but we will be competitive and will always provide honest, reliable and the highest quality work ethics and workmanship that exceeds our customers requirements! ", states Eddie Horn. Click Contact Us to discuss how we may help you.